During a one-or-two-days trip, you always need to think about food and water for your dog. Usually an adult dog eats once a day but drinks plenty of water. 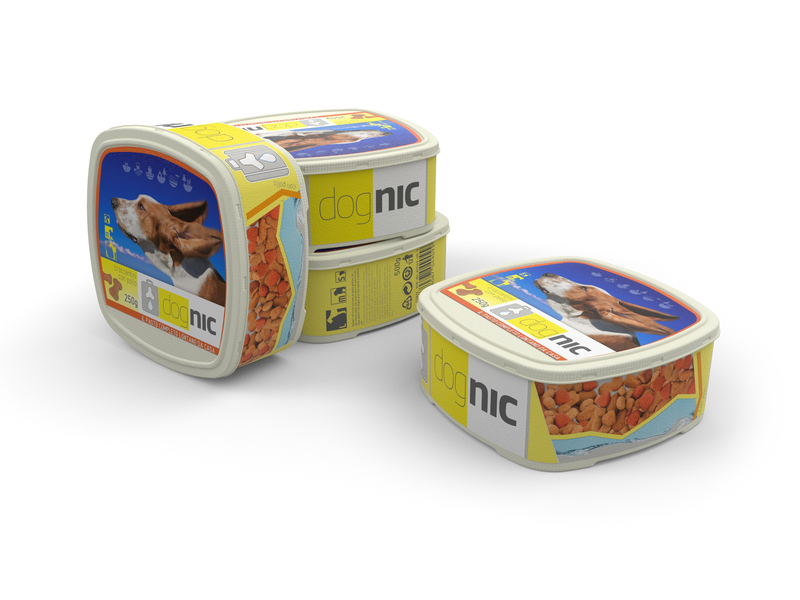 Dognic is a project that was intended to fulfill needs, food and water, in a single container, where there is a part dedicated to the food and a part that can be refilled for water. The rounded rectangular shape is typical of dog bowls: it is a compromise between volume and ergonomics that ease the access of a dog's muzzle. The packaging takes into account both the production point of view and the environmental impact, in fact it is made of mould-paper and can easily be recycled.